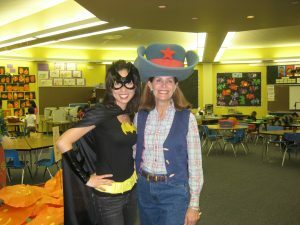 Mary and I am an elementary school teacher. I recently started a “Craigslist”-like website called Educycle that lets teachers buy and sell their used teaching supplies. Businesses can also donate their gently used office supplies to neighborhood schools in need. It’s completely free to use. My goals for Educycle are to help out schools in need, reduce out of pocket expenses for teachers, and prevent valuable resources from going into the landfill. 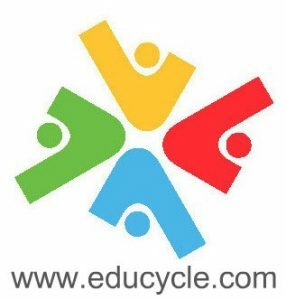 Recycle Teaching Supplies Through Educycle! This week, I would love to share a fun, easy, and inexpensive Halloween project that my class does every year. 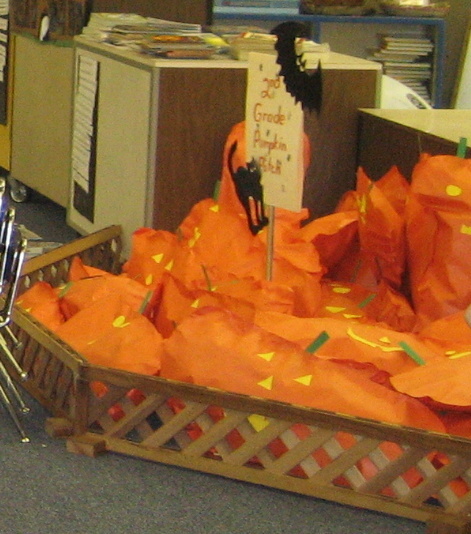 Each child makes a stuffed paper pumpkin for our classroom pumpkin patch. We have it on display for about a week and then the child takes it home to use as a friendly greeter for neighborhood trick-or-treaters. A Basket of Stuffed Paper Pumpkins! Staple around the edges to make it look like “stitching.” I usually staple about 3 inches apart. Make sure you leave a large enough opening for the stuffing. Using the yellow or black (or recycled aluminum foil!) construction paper, cut out jack-o-lantern shaped eyes, nose, and mouth. Cut the stem and leaves from the green construction paper. Glue the pieces onto the pumpkin (save the scraps!). Stuff the pumpkin with the leftover scraps and recycled newspaper. Voila! Now you have a cute, original pumpkin for your pumpkin patch! If there is a special teacher in your life, please let them know about Educycle! We are constantly getting new posts. Most of the items are free or under $5! Currently we have several posts for free art supplies.